You must play the Sims 4 as if being the producer of a 24/7/365 reality show named "The Truman Show". starting at birth. He grows up inside a fake world built to convince him that he is in the real world. sounds like The Sims to me! You may have any mods installed before starting EXCEPT any mods that make the game easier. you like but its prefered if they have the same names as they do in the movie. Dont forget the edit the relationships before exiting CAS. the home, you may begin play. In the game settings, set the lifespan to LONG. Also make the whole world around him age up as he does. Dont want him getting suspicious now do we? and save him from death. 7. Truman must get a job in the business career. In the movie he sells insurance. 8. Truman may have kids with his wife if thats what you want. 10. Travel to "Fiji". Since you cant really do this, you may use Outdoor Retreat to go camping instead. these are and how to get to them, GOOGLE IT. 11. Truman MUST die of olg age. 12. Dont let Truman know he is the center of your reality show! Sounds easy huh? Hurley Gamer - Subscribe to my YouTube Channel. I think everything is back up to date. Hi ! It would be great if they make The Sims 4 Stories Pack or something like that. To have different stories and we to be able to play one story and after we finished it to unlock another story. Hm? @jooshh1 And that's why I do the clone challenge. I have to write my own stories as I go but that's how the whole idea started! 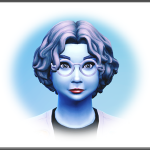 Sam Grant in ts3 had over a dozen clones and each had a different life. Oh,ok. I just didn't know. 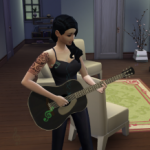 Hello everyone, I have done some Sims 4 challenges on Sims 4 community on facebook some people thought I should post here. The respons have been great to these challenges involving the outdoor retreat game pack, some really hard survival challenges, dont know how to post url, but you can find them at The Sims 4 Community (Official) group on facebook. I have been given permission by the creator, @ApelsinOriental, to share this challenge. This does require Outdoor Retreat to play. 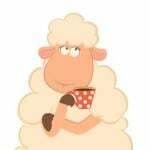 @EuphorialQueen Hi read your post about the challenge, It sounds neat. the thing is I thought that you were to survive by fishing, gardening, collection and not leave the area. Why are some talking about not being able to finish a aspiration. You do not need aspirations to fish, garden collect and as some said paint. Do you have to do aspirations. I did not read that this was part of the challenge. Aspirations are not a requirement but they do help rack up Satisfaction Points to buy Traits. One of the steps of the Painting Aspiration is to view Art at the Museum. Since you cannot go anywhere that requires Map View it cannot be completed. However that does not keep your Sim from painting to earn money. I used the Woodworking bench to increase handiness. I also collected as many things in the area as I could and completed that aspiration. Gardening also played a part as did fishing. I was able to gain 50K on hand before completing the gardening aspiration. Angling Ace (if I recall) needs 20 kinds of fish. I popped up that Aspiration for the points but mainly was fishing for the money. But this would be a little break from them once in awhile, I like the idea. Painting generates a lot of income so I am not sure if I want to use it or not. I will see as things go along. Also I know by staying in the area lessons your collecting income. I am anxious to get started. I would like to post pictures along with a story line, but I get so involved in game play I forget. Love the idea. Thanks for posting it and thanks for answering me. Have a good day. Oh another thing. is the idea to wait and get $50.000 before you can start building. @nicarra I have a new challenge to share. It is Generational and it is inspired by Doctor Who. I don't see an A - Z challenge here, where is the rules for it? One of my subscibers recommended it for a new LP, but I can't find a Sims 4 A - Z challenge. Yes ... the idea is to survive by camping until you have gained the 50K on hand. 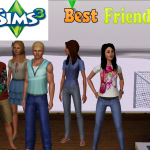 @‌EuphorialQueen I use to see it in Sims 3. So it might be in Sim3 and it is the same. the only thing I do it a little different, but you can do it anyway you like. You see my sims do not work or go to school. (your kids will not be taken away if you never send them from the beginning) I made a founder and called him Dewey Dexter, he married and had a wife. they had a child and started with A and called him Alex Dexter, now the thing that I do is (this is my own rule) no one moves out. Alex grows up gets married and marries and they live together with Dewey's parents. so you have Dewey Dexter his wife and Alex Dexter and his wife, now they have a baby and you call him B for Bobby and now around this time sometimes the grand parents will be gone so you have Alex his wife and Bobby and. If the grandparents are still her you will have 5 sims now. it keeps going that way. The only thing because my sims do not work, is they live off the land, they fish, garden, paint, write, collect, crafts etc. Now you do not have to do it that way you can have your sims work. But in 26 generations I did, no one worked. Sometimes I have them move to a different house and take away their money to start over. In my first A-Z somewhere along the line the generation had a Alien and he married a real Alien and then went to reg sims again. You can have a heir that does not get married and adopt or just gets pregnant. I find it a lot of fun as each generation is so different. 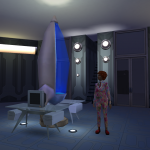 I just checked with the Sims 3 and it is listed but not much is said about, I do not know who put it there, as I believe that I was the first to start it in my game and talked about it a lot, so someone put it up as a A-Z challenge. You could use it with your survival challenge also. I probably should make some rules for it for people. I know a few people have asked me about it and have started it. they seem to like it. 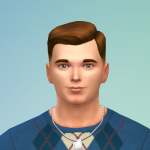 I have recreated my Dexter now in the Sims 4, having Zackary name his child after the original found Dewey and have continued on with this family, I have grown to love them. About the survival challenge is the idea to wait and get $50.000 before you can start building. @Evalen Sorry I thought I answered but maybe was not complete in my answer. Yes ... the idea is to survive by camping until you have gained the 50K on hand. After that is when you can build your home. But the money goal must be met first. @EuphorialQueen thanks, very interesting, I just put my sim on the property and he has 0 money right now. So I am off and running. He made a fire, but I am not sure why because he has nothing in his inventory. I guess I 'll send him fishing, I am glad that they can eat the fruit now. But he has no fruit trees, he better get busy. He may not live the week. Is there a place that people post who are doing this challenge. @Evalen The challenge creator posted it on facebook. But I asked permission to host it at The Sims Creators' Consortium where I am an Admin. Direct thread link: Sims4 Ultimate Survival Challenge by ApelsinOriental with all credit to @ApelsinOriental as creator. Hey, I am currently starting up a Sorority Challenge with the Sims 4, it would be fantastic if you could check it out as I really need your help! 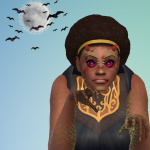 I need as many people as possible to create their very own Big Mama, who will live in the Sorority and hopefully become the next Big Mama themselves and rule the Sorority!!!! If you could leave a like and maybe subscribe if you like what you see, that would be great too!!! It's also known as the alphabetacy - an alphabet based legacy - gen 2 kids have names with A up to gen 27 kids having names with Z. From memory, the founder and spouse names don't matter, it's just the kids. I don't seem to have mentioned it as a variation of the legacy idea though. I was thinking that there should be more challenges like the sims 3. I also have quite a good idea for one. Fighting prescriptivism one English teacher at a time. I do what I must, because I can. Trying not to die and so far I'm really good at it.